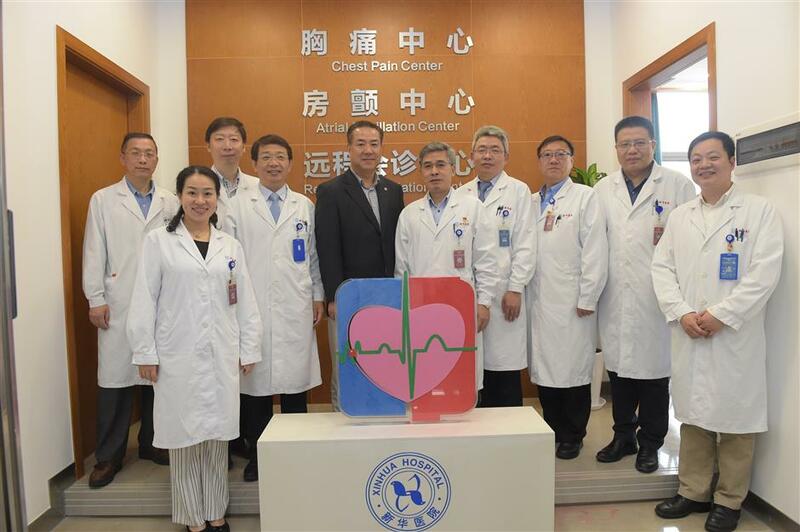 Xinhua Hospital have established a Heart Care Center which consists of a chest pain center, an atrial fibrillation center, a remote consultation center and an education center. Xinhua Hospital announced they will establish a Heart Care Center consisting of a chest pain center, an atrial fibrillation center, a remote consultation center and an education center. The new heart care center, the first of its kind in the city, will offer medical consultation and training to other grassroots hospitals to improve the health capabilities of the region. It offers a 24-hour green channel for patients with chest pain and has closely cooperated with nearby hospitals in Yangpu District and rural Chongming District, which has set up a union to cooperate with Xinhua. Patients with critical chest pain and other heart problems can be transferred quickly from other grassroots hospitals to Xinhua for first aid. For patients in rural Chongming District, the center offers long-distance consultation and direction for local doctors.